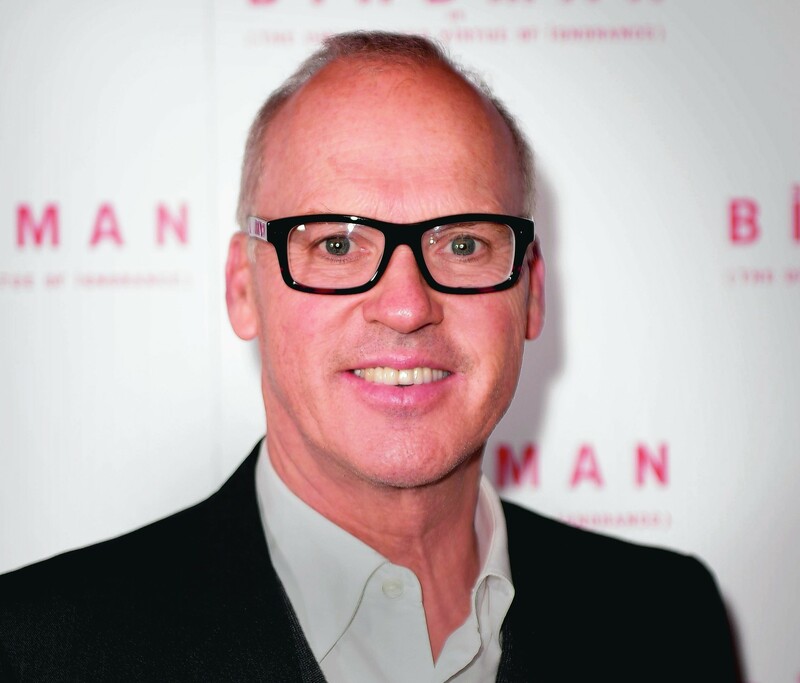 He may not be superhuman, but Michael Keaton is super-energetic. He talks 19 to the dozen, making constant asides and asking rhetorical questions, so at times, it’s almost as if he is debating with himself. But though he is enthusiastic, there is no arrogance or bravado about him. When I enter the room we’ve arranged to meet in, he’s busy using a smartphone with a bright red cover that stands out boldly against his black jacket. He looks up, greets me warmly, and excuses himself, explaining, “I am sending a message to my son”. It’s a level of social etiquette one can rarely expect from a friend or family member in this modern digital age, let alone a Hollywood star. We’re here to discuss his latest film – to give it its full title, Birdman or (The Unexpected Virtue Of Ignorance). Keaton plays Riggan, an actor who hopes to revive his flagging career by directing and starring in an ambitious Broadway production of a play he has also re-written himself. Riggan is riddled with self-doubt and a fear of failure. 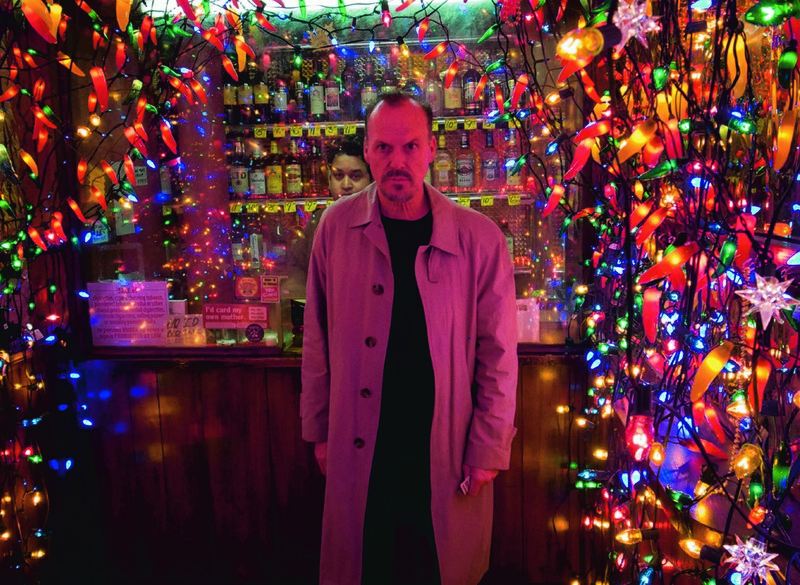 As a result, his sub-conscious has started to speak to him in the voice of his former character Birdman; the superhero role that made him famous, whose poster looms over his dressing room. The film – by Mexican director Alejandro Gonzalez Inarritu, of 21 Grams and Babel fame – is a brilliant satire on a film industry dominated by blockbuster comic-book sequels. It is both darkly thought-provoking and laugh-out-loud funny. Edward Norton, Emma Stone, Naomi Watts and Zach Galifianakis all give notable performances. And it invites audiences behind the scenes of the acting world – showing the human frailty behind celebrity. “It was fun to play, but at the same time, this movie’s tricky – you can’t enjoy it while you’re doing it,” confesses Pennsylvania-born Keaton. One of the comic highlights is when Riggan pops out for a cigarette between scenes and the stage door blows shut, trapping his dressing gown. The fragile actor is forced to run around the side of theatre and through Times Square to get back in through the front of the theatre – wearing only his underpants. It was filmed on location, so Keaton ran almost naked through one of the most crowded parts of New York, while people pointed and filmed it on their phones. “I just did that this morning in Hyde Park,” he quips, when asked about it. “It’s more fun in Hyde Park, actually. The parallels between Keaton and Riggan are obvious. Inarritu has said he wrote the role for him. The 63-year-old began acting on TV in the Seventies. In 1988, he starred in Tim Burton’s dark family comedy Beetlejuice, and a year later, the director cast him as the Caped Crusader in his film adaptation of Batman. Burton’s gothic interpretation of Gotham was critically acclaimed, the film was a hit and, in 1992, they made a successful sequel, Batman Returns. Since then, Keaton’s kept making movies. He had a role in Tarantino’s Jackie Brown, some successful comedies, voice work in hit animations Cars and Toy Story 3, but Batman has remained the peak of his career. So does he relate to Riggan’s scenario – has the Caped Crusader loomed over him all these years? “Oh no, no, no,” he insists. “Obviously, I relate to him in, ‘Oh yeah, I played Batman’, he plays a character called Birdman, it’s not coincidental,” he adds quickly. “I’d be insane if I didn’t go, ‘Yeah, I did that too’. “The thing is, this movie’s about Alejandro, more than any of us. And we’re just the vessels. So I relate to the fact that I’m an actor, and I had to play that. I just don’t relate to the type of personality this guy is. If Keaton had ever felt as insecure and down about his own career as Riggan, he certainly has no need to now. The film has already begun garnering awards, and the industry is all atwitter with Oscar buzz for Birdman. As well as looking at a film industry and fame, Inarritu also turns the camera back on the world of social media. Just hours after Riggan has run semi-naked through Times Square, the video is all over the internet, and it helps draw publicity for his flagging play. When Keaton played Batman, Hollywood stars were still treated as real superheroes. Fans looked up to them and respected them. Now, the insatiable appetite for internet gossip seems to make them a target. Tear them down from their pedestal and expose them for what they really are – flawed human beings, just like the rest of us. “I wonder if people always did that?” muses Keaton, with the voice of one who knows. But he doesn’t seem that bothered, and why should he be? Keaton doesn’t need to worry about having his mask ripped off, because he’s not hiding behind one. And while for some, he will always be Batman, soon he is sure to have some awards to put on the shelf next to the superhero memorabilia. Keaton is an actor, and in Birdman, he is a superb one. 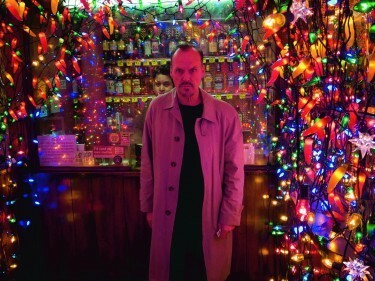 Birdman (or The Unexpected Virtue Of Ignorance) is in cinemas now.